The University of Illinois at Chicago is one of eight universities awarded funding by the National Institutes of Health to prevent and treat sexually transmitted infections, including HIV, among adolescents and young adults in Africa and Brazil. Collectively, the international projects are known as Prevention and Treatment through a Comprehensive Care Continuum for HIV-affected Adolescents in Resource Constrained Settings (PATC3H). As one of the PATC3H participants, UIC received a two-year, $1.2 million grant to tailor a sexual education and skills-building program designed to help reduce the incidence of new sexually transmitted infections, including HIV, and increase HIV testing and linkage to care among South African adolescent girls and their female caregivers. In a randomized controlled study in Chicago, the program, called IMARA for Informed, Motivated, Aware, and Responsible about AIDS, reduced the risk of new STIs by 45 percent among black girls aged 14 to 18 years old compared to the control group. 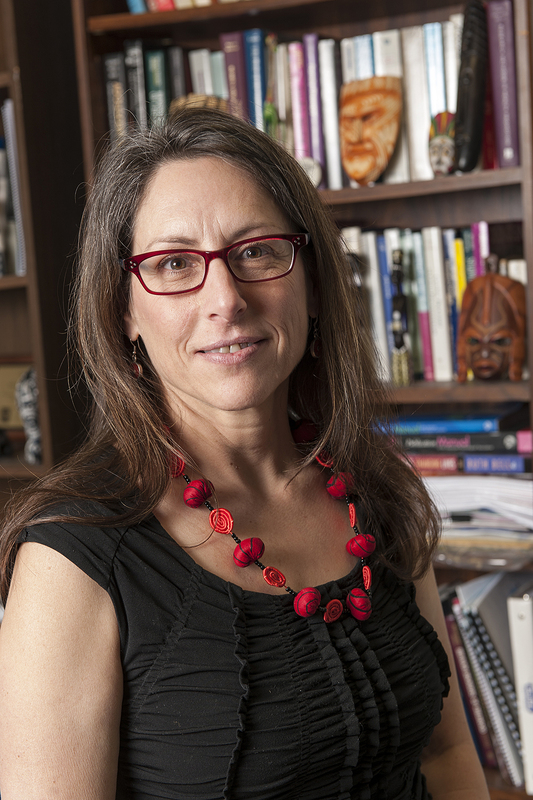 “With this new grant, we will adapt IMARA to take into account the unique contextual factors and culture of South Africa,” said Geri Donenberg, professor of medicine and psychology at UIC and principal investigator on the grant. The IMARA program includes education about sexually transmitted infections, including HIV, as well as communication skills that are designed to strengthen the mother/female caregiver-daughter bond. It also focuses on the importance of healthy peer and romantic relationships, effective parental monitoring, developing positive decision-making skills, and encourages participants to consider how the media and its portrayal of young black women influences their behavior, and how those behaviors may affect health outcomes. In the first year of the grant, Donenberg, together with Dr. Linda-Gail Bekker, the chief operating officer of the Desmond Tutu HIV Foundation and deputy director of the Desmond Tutu HIV Centre at the University of Cape Town and a co-principal investigator of the grant, will enroll 48 pairs of adolescent girls and their female caregivers to participate in focus groups to help the researchers modify and tailor the IMARA program so that it is most relevant to their needs. In the second year, the researchers will pilot-test the modified IMARA program with 50 female caregiver-daughter pairs at the Desmond Tutu HIV Foundation to ensure feasibility and acceptability of the adapted program. Participants who acquire sexually transmitted infections will be linked to care and provided treatment at the center. At the conclusion of the pilot study, the investigators will work with policymakers to promote the potential benefits of IMARA and obtain support for broader scale-up should the program prove effective and cost-effective in the subsequent randomized controlled trial in years three to five of the study. “We are focused on building relationships with other medical centers and community organizations so that if the new IMARA program proves effective, we can rapidly scale it up to reach more people,” Donenberg said. Based on the success of the first two years of the program, and hitting specific targets, Donenberg and her colleagues will receive an additional three years of funding from the National Institutes of Health to continue to evaluate the program in a randomized controlled trial with 525 daughter-female caregiver pairs. Participants will be tested for HIV and other sexually transmitted infections at the beginning of the study, and at six and 12 months after enrollment in the study. HIV testing and counseling and PrEP (pre-exposure prophylaxis) will be offered at each assessment, and participants interested in PrEP or who test positive for a sexually transmitted infection/HIV will receive treatment at the Foundation. According to the Joint United Nations Programme on HIV/AIDS, an estimated 1.6 million people ages 15 and older worldwide were newly infected with HIV in 2017. South Africa has the world’s largest HIV epidemic and adolescent girls and young women acquire HIV at twice the rate of their male peers. “As new infections continue to outpace access to and availability of drugs to prevent and treat HIV, primary prevention remains the most viable strategy to prevent new infections,” Donenberg said. Erin Emerson, Aerika Brittian Loyd, Sally Freels, and Surrey Walton at the University of Illinois at Chicago, and Millicent Atujuna and Dr. Katherine Gill at the Desmond Tutu HIV Foundation are co-investigators on the grant. The IMARA program was supported by grant R01 MD006198 from the National Institute of Minority Health and Health Disparities and is currently supported by grant H79SP021757 from the Substance Abuse and Mental Health Services Administration.